Yesterday, Dee Parsons from Wartburg Watch tweeted a question about the The Master’s University’s claim that the school was ranked as a #1 “right choice” school by the Wall Street Journal. Here’s what The Master’s University said about their rating by the WSJ in 2016. In the September 29 edition of The Wall Street Journal, The Master’s University was ranked #1 for being the “right choice” of institutions rated among the nation’s 4,000 colleges and universities. The Wall Street Journal has ranked TMU number 1 in the country for two years in a row as the top “right choice” university. Indeed the WSJ did mention TMU in 2016 and 2017 but the ranking was more of a rating by the students. WSJ asked 100,000 students a series of questions about their college including “if you could start over, would you still choose this college?” On that question, TMU students gave their school ratings higher than students at any other school. Lancaster (PA) Bible College ranked second on that question. LBC’s write up about the survey more clearly explains the significance of the rating. The Wall Street Journal surveyed students and asked them a series of questions to determine each institutions ranking. For the Right Choice category, students were asked, “If you could start over, would you still choose this college?” LBC earned a score of 9.46 out of 10. 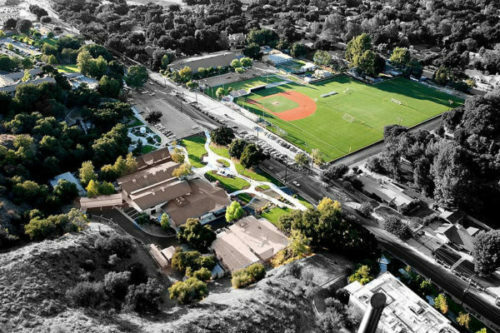 The Master‘s University, a small Christian liberal-arts school in Santa Clarita, Calif., topped all comers in that category, despite not cracking the top 500 schools in the overall ranking. The survey also asked students three questions that weren’t taken into consideration in the rankings, including whether students would choose their school again. Highest marks again went to schools with a religious affiliation, including The Master’s University in Santa Clara, Calif., Lancaster Bible College and Brigham Young, Hawaii. Obviously, TMU’s students believe they made the right choice, so I don’t mean to take anything away from TMU. However, there is a difference between WSJ ranking a school and students rating a school via a survey. When TMU portrays an average score on a student rating as a merit-based ranking by the WSJ, there is potential for their audience to be misled.